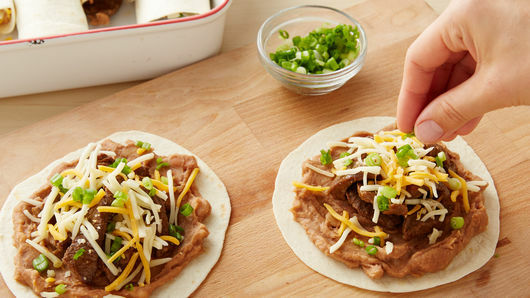 Spread each tortilla with refried beans to within 1/4 inch of edge. 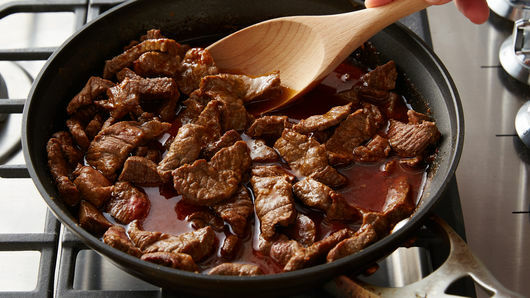 Top each with beef, Cheddar cheese and onions. Roll up, folding in sides. Place, seam side down, in ungreased 13x9-inch (3-quart) glass baking dish. 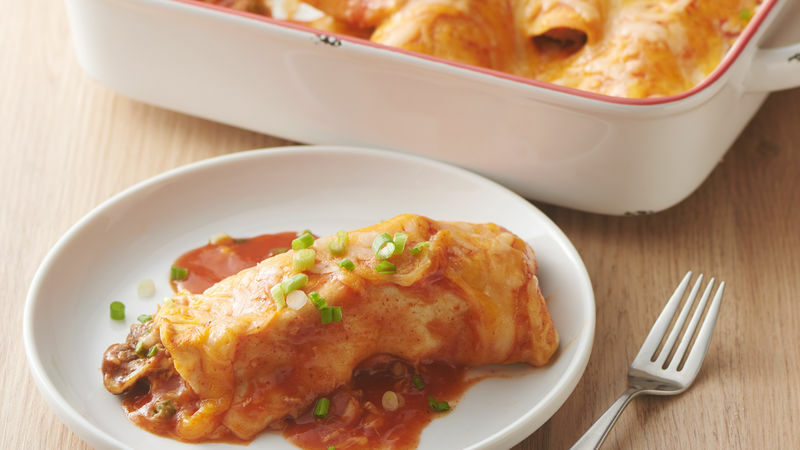 Pour enchilada sauce over burritos. Sprinkle with Mexican cheese blend.